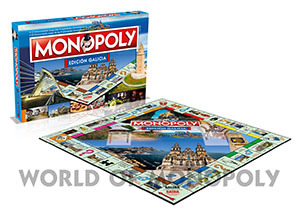 Live the life of an ambitious merchant in the fast-paced world of real estate with this Monopoly Galicia edition. 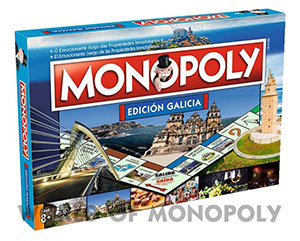 Discover the essence of Galicia in this amazing edition of Monopoly. Its capital, Santiago de Compostela, is the final destination for pilgrims on the famous Camino de Santiago. Its landscapes gather lush valleys and impressive beaches. On its coastline, bathed by the Cantabrian Sea and the Atlantic Ocean, there are areas of spectacular cliffs such as those of A Costa da Morte or the incredible National Park of the Atlantic Islands of Galicia. Play between charming seaside and inland towns and cities such as Santiago de Compostela, A Coruña, Ferrol, Lugo, Orense, Pontevedra or Vigo. 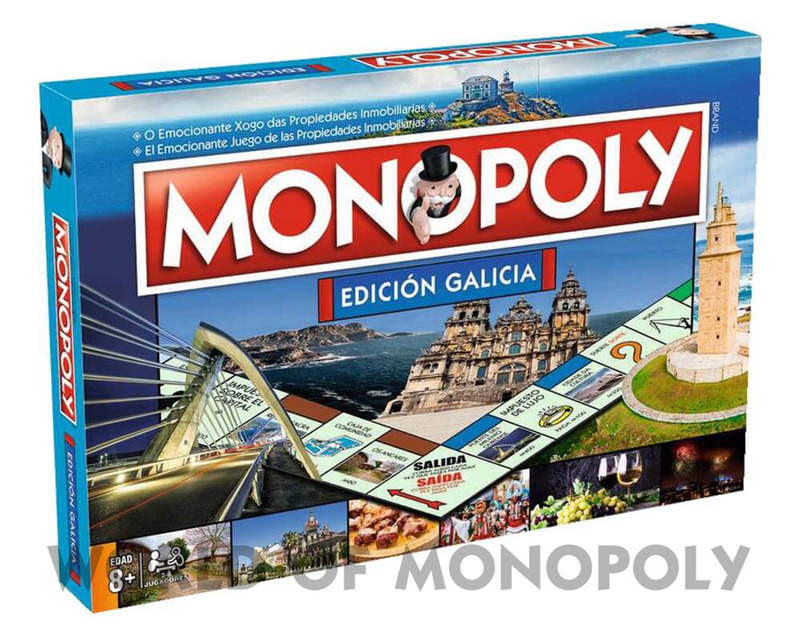 Some of its monuments, such as the Tower of Hercules or the Walls of Lugo (both declared World Heritage by UNESCO) will surely leave you impressed.